Cloud computing is the delivery of computing services such as storage, servers, software, database and more.It has been transforming. Organizations have taken interest and use it to store, share data and more. 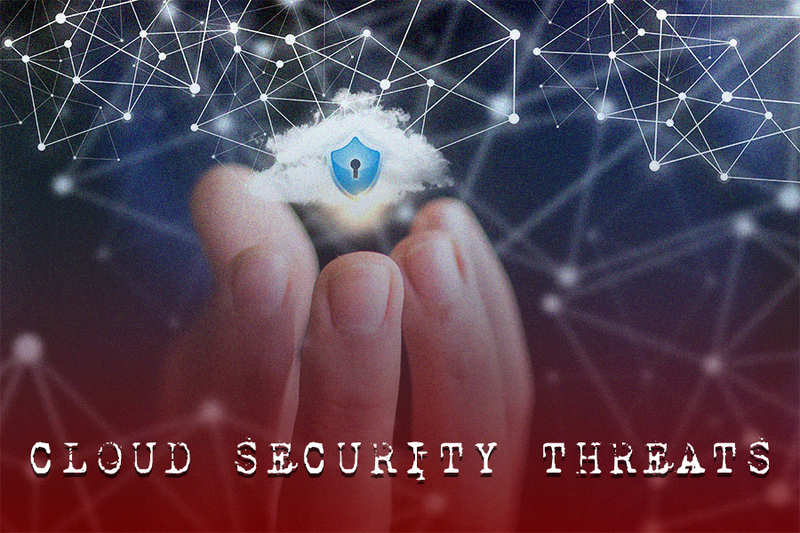 As more people have been relying on Cloud services, the cloud security threats have increased. In this post, we have listed some of the cloud security issues so that the organization makes decisions regarding cloud adoption strategies. Read on! Data breaches are one of the cloud computing security concerns which has existed for a long time. The data includes information which might not be for public release, personal information, financial info, trade secrets and more. An organization’s cloud-based data might hold value to a different person for different reasons. Well, the risk of data breach is not specific to cloud computing but it is one of the most important concerns for data security in cloud computing users. The terms account hijacking or service hijacking have been in the past. However, with cloud services, a new security threat has been added to the surface. If hackers get access to username and password, they can snoop around on activities, transactions, exploit data, redirect clients and more. With the access of an account, hackers can take control of critical and significant areas of cloud computing services, enabling them to jeopardize integrity, confidentiality, and availability of services. This seems to be one of the data security in cloud computing security concerns that you need to look out for. Cloud provider organizations reveal a set of software UIs which are used by customers to organize and interact with cloud services. Tasks such as Providing, managing, and monitoring are performed via these interfaces. Also, the security and possibility of general cloud services rely on the security of UIs. It is advised that a UI should be designed in a manner to prevent malicious attempts to avoid the policy. As a result, inadequate identity, lack of access management can result in unauthorized access to data and it could result in permanent damage to organizations or end users. A parasitical form of cyber attack, an advanced persistent threat that invades systems to build a foothold in IT infrastructure of the victim and then they steal the company’s data. APT follow their aim and establish itself and carry out the work for which they are designed. Once it is established. APT is capable of moving parallel through data Center networks & amalgamate in ordinary network traffic to reach their goals. The bugs or loopholes in an app of which hackers take advantage to steal data, gain access to the system or disorganized service operations. Loopholes present in the parts of OS is the biggest risk for the security of services and data presentation. Due to the advancement of multiple tenancies in a cloud, a system from different organizations are put near each other and also they are provided with the access to shared memory which provides hackers a new attack platform. Malicious insiders are those identities who have access to system admin account and can possess confidential information. It might gain access to the crucial system resulting in the explode of data. So the system who depend largely on cloud service providers in terms of security is at risk. While creating a business scheme, cloud technologies and service providers must be taken into account. In order to attain success, you need to work on creating an appropriate blueprint and checklist for constancy while evaluating providers and technologies. As rushing into things while working on the adoption of cloud technologies and providers, you pose yourself to risk. If you use less secure cloud service, cloud service with free trials, forged account signups and more can pose these cloud computing projects to malicious attacks. Moreover, cloud computing resources could be used by hackers to victimize organizations and other users. You could have seen many real-life experiences of this abuse. Examples of the same are email spam, phishing campaigns, and more. So, these are some of the security risks of cloud computing . Keep all these things in your mind while strategizing your business plans. Let’s us know about your opinion on these Cloud security risks in the comments below.